Publications are the currency of academia. Whether you are a medical student applying for residency or an attending physician seeking promotion at a major academic center, there are few factors that play as vital a role in your career projection. With fierce competition for journal space it is imperative that your work be presented in the best possible light. Valuable clinical and basic science research is often rejected before the review process due to serious grammatical errors, formatting mistakes, and poor English. Our editing service is designed to address these and other limitations. We spend a considerable amount of time making changes to improve the flow of your manuscript, including eliminating jargon, rewriting sentences, restructuring paragraphs, and strengthening the overall writing style of your research document. We currently offer detailed editing for research manuscripts, grant applications, and meeting abstracts. To further improve your research, each document receives one complementary second review by our editing staff, allowing discussion between you and your editor. After undergoing the first exhaustive review, you will have time to reply to any comments or concerns from the editor, incorporating further changes into the manuscript. Reviews beyond 2 are only offered for documents that have undergone standard physician editing at editingMD.com, and will be charged at the revision editing fee posted below. 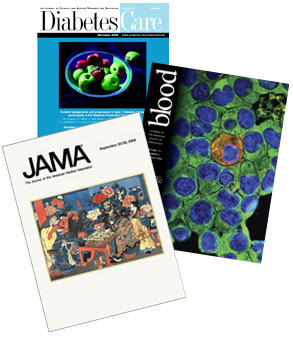 Our editorial board currently offers manuscript review in the following medical specialties: Internal Medicine, General Surgery, Pediatrics, Oncology, and Ophthalmology. As with all our editing services, we do not offer different levels of editing quality. While it is common to offer various degrees of editing assistance, we feel strongly that every document we touch deserves our best work, and as such we only offer you our best with the goal of helping you publish faster in higher impact factor journals. On occasion we receive a research manuscript requiring extremely time intensive editing. In those rare cases, after initial review of the document, the submitting author will be contacted with an adjusted invoice. Editing will not proceed until the adjusted invoice is agreed upon and subsequently received. We do offer re-editing of all previously reviewed work at a discounted rate; however, it will still receive the same level of detail as the original document. To enroll, click the link at the bottom of this page and email your research document to service@editingMD.com. At this time we can only accommodate Word documents. Documents in other formats will be returned. Please use the word limits to calculate the total number of pages in your document and select the appropriate invoice. Payment must be received before our editing service will commence. Having a professionally edited manuscript makes it more likely that your research will be accepted for publication. An important final step is preparing for submission to a target journal. This includes careful drafting of a cover letter and making appropriate formatting changes to the abstract, body of the manuscript, figures, tables, and the references. This service is only available for manuscripts that undergo our initial MD editing process. *Up to 40 references. Additional charges apply for greater than 40 references. Email service@editingMD.com to indicate your decision to utilize the journal formatting service. Formatting services will begin after payment is received. For manuscripts that have undergone our initial MD editing process, we are happy to provide editing assistance for the response to reviewers. This service includes editorial assistance for your revised manuscript, point-by-point response to reviewers, and accompanying cover letter. To enroll, click the link at the bottom of this page and email your research document to service@editingMD.com. At this time we can only accommodate Word documents. Documents in other formats will be returned. Presenting research at national and international meetings is a crucial way to further your academic career. In addition to strengthening your CV you have the opportunity to interact with leaders in your field, forming relationships that play a pivotal role in academic promotion. Meeting abstracts receive the same expert MD editing and review as other academic documents. Your personal MD consultant will also help provide guidance on ways to strengthen the presentation of your work, increasing its chance of acceptance. * up to 700 words – case reports of less than 700 words can also be submitted under this service. To enroll, click the link at the bottom of this page and email your abstract to service@editingMD.com. Your abstract must conform to the word limits of the meeting to which you plan to submit. Please also email a copy of the meeting requirements for abstracts (word limits, headings etc). At this time we can only accommodate Word documents. Documents in other formats will be returned. Payment must be received before our service will commence.